It’s the end of my first week of being in charge at Banting House, and I have to say, it’s been pretty nice. I’ve had the opportunity to connect a little more with the volunteers, and they’ve all been very helpful. I’ve also been preparing some ideas for World Diabetes Day. 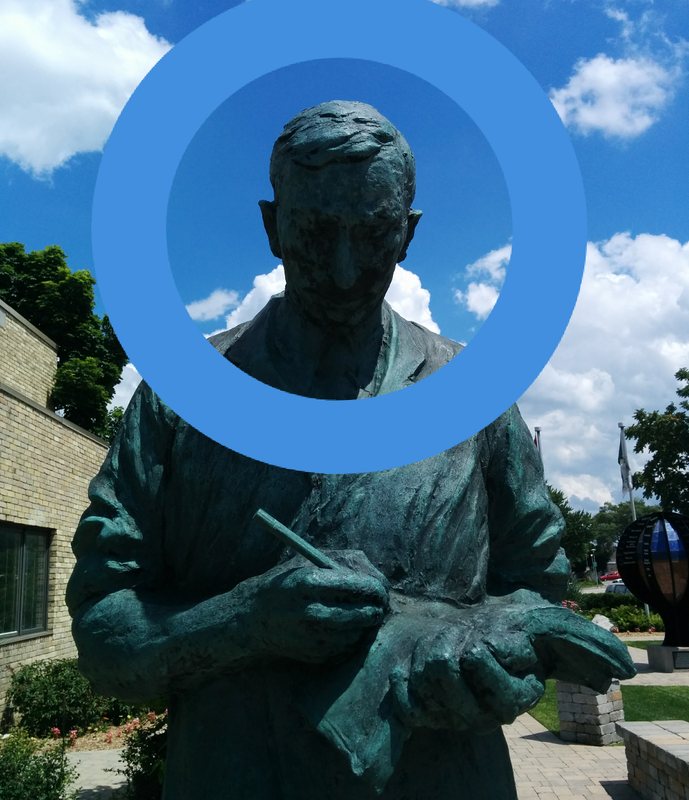 There’s a new “WDD Selfie” app! Most of all though, this week just turned out to be a great week for tours! Since I’ve been working here, I’ve noticed that we get a few kids coming for tours, but not nearly as many as I thought we would have. This past week or so, we’ve actually had a few kids, and it was great how excited they were to be here! The most recent one was a little girl. She was here because she was learning about Dr. Banting in school, and her family thought it might be fun for her to visit the museum. We had a great tour – she was really interested to learn about Dr. Banting’s life, and she had also brought her book from school, to share what she already knew. Earlier this week, our volunteer, Breanne, took a tour with a young couple and their little girl. She was so energetic that she was holding Breanne’s hand, running from room to room. When she got to Dr. Banting’s bedroom, she wrote him, not one, but two letters! I gave them a scavenger hunt to do, and when the family left, the little girl gave us each a hug. A little while ago, we also had a little boy, who was only about eight. His family had brought him to the museum because he wanted to be a doctor. I was amazed at how much he already knew about Banting’s research. He was fascinated with the museum, especially the copies we have of Dr. Banting’s reading material from the night he had his famous idea. I love giving tours to adults, but giving a kid a tour is totally different. It’s amazing to see how interested and excited they get, and it’s so rewarding to see them learning something new. At the end of the tour, I really feel like I made an impact on their life, or at least brightened their day. With only a week left of my summer with Banting House, I’m glad we had so many fun tours this week! Posted in Behind the Scenes at Banting House.Tagged Banting, Banting House NHSC, Children, Dear Dr. Banting, Dr. Banting, Letters, World Diabetes Day.